The construction of a new library for the University of Bedfordshire is a vital step in the on-going regeneration of their town centre campus in Luton. 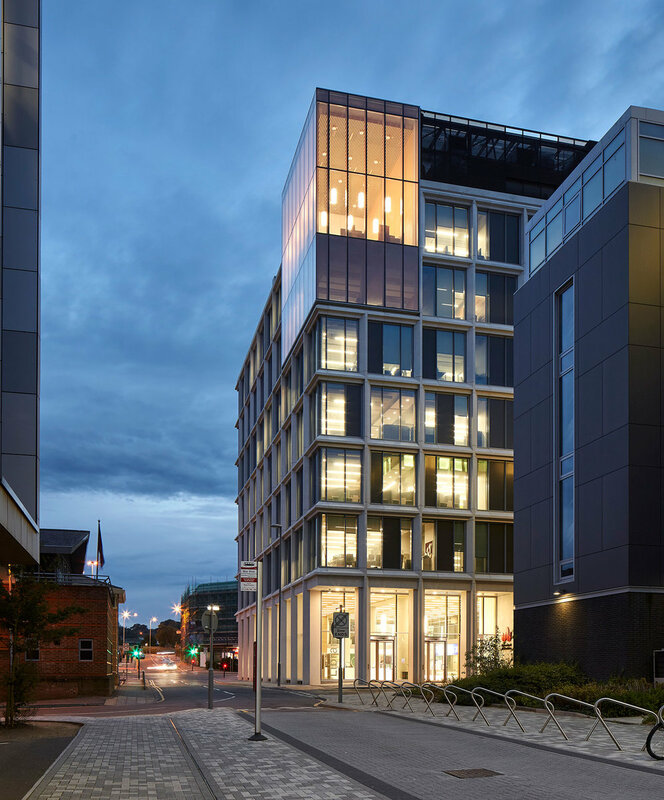 The provision of this new building minimises the impact of future phases of redevelopment on the student experience through the relocation of this core activity to a brand new facility, located at a focal point between academic space and new residential accommodation. The University has consulted widely with the students and looked at comparable recent new library schemes both in the UK and worldwide. The site, whilst well located, is challenging because of the available ‘footprint’ – resulting in a relatively tall building for a library. Taking this aspect as an opportunity, the proposed scheme locates silent study spaces on each of the upper floors in a ‘study wall’ fulfilling the increasing demand by students for more silent and quiet working environments. The design reflects the University’s aspiration for an efficient, serious and scholarly facility that supports and enables improvements in academic and institutional performance.